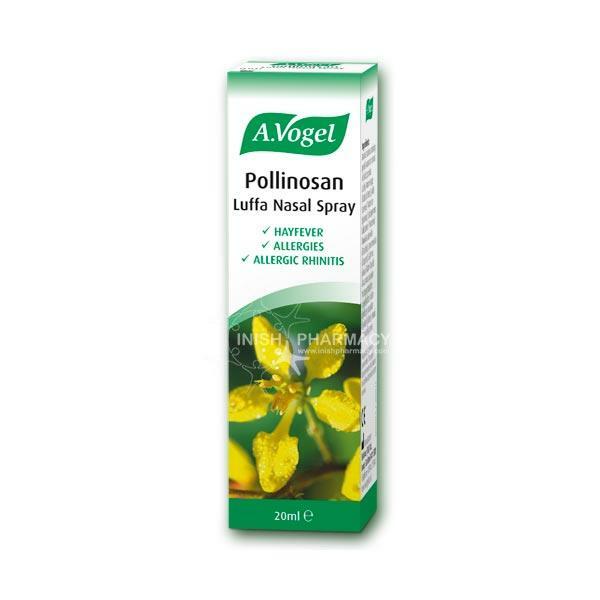 The A.Vogel Pollinosan Luffa Nasal Spray helps treat hayfever caused by pollen and other allergens. This hayfever nasal spray cleanses the nasal passage preventing any build-up of pollen, dust or other allergens. Your nasal passage is rinse out and all fluid & moisture is restored, leaving the nose feeling soothed and comfortable.